For June, our book will be The Biographer’s Lover by Ruby J Murray. Join us in the study room for a friendly and open discussion on this novel, exploring the Australian art world and the stories that wait behind what artists leave behind. 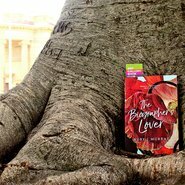 The Biographer’s Lover is available from the Gallery Shop. Buy your copy online.